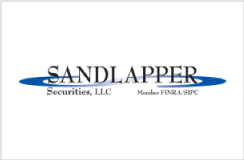 SANDLAPPER Securities, LLC (“SANDLAPPER”) is a full service broker dealer and dealer manager of investment products. Our best in class personnel and representatives tailor strategies, recommendations and construct portfolios “designed” to meet your individual needs. Established in 2005 originally to act as the “managing broker dealer” or “dealer manager” for nationally recognized and the award winning real estate investment firm TIC Properties, LLC tenant-in-common syndicated programs, SANDLAPPER was the compliance and distribution engine for assets acquired nearing a billion dollars in value nationwide. Today, SANDLAPPER has grown beyond its singularly focused roots to provide not only a compliance and distribution engine for affiliated and non-affiliated investment programs, but to align itself with some of the independent broker dealer communities top representatives giving them access to the products, services and support THEY need in order to build, develop and manage your individual investment strategies. Est. 1992. Manhattan Beach, California, USA. We bring footwear to the world. Our story begins in a California beach house where SKECHERS was born as a utility boot that became an icon of the grunge era. More than twenty years later, we’ve evolved into a footwear powerhouse with styles for men, women and kids found around the world. We remain firmly rooted in Manhattan Beach, just down the street from where it all started. Supporting our brand is a celebrity team that includes Demi Lovato, Meghan Trainor, Ringo Starr, Kelly Brook, and Brooke Burke-Charvet. 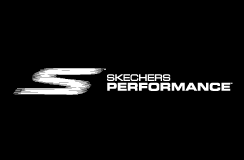 The roster also features legendary athletes like Sugar Ray Leonard, elite runners Meb Keflezighi and Kara Goucher, as well as pro golfers Ashlan Ramsey, Matt Kuchar, Belén Mozo, and Colin Montgomerie. PING Golf is a family owned company that was founded in 1959 by Karsten Solheim. Karsten was frustrated with his putting and as a result was inspired to design his own putter that made a “pinging” sound when striking the golf ball, thus the name “Ping.” Karsten was a mechanical engineer who took skills from aerospace and computer industries and applied them to golf equipment that has always been at the forefront of technology and innovation. PING has been responsible for numerous innovations in golf equipment from its roots in the original PING putter to its current broad range of golf products. 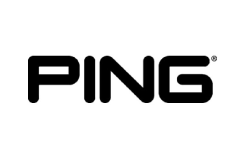 Many of PING’s innovations have become industry standards, including perimeter weighting, custom fitting, and the use of investment casting in the manufacturing of golf clubs. 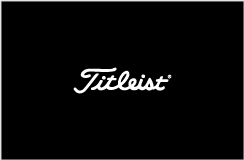 Titleist, the #1 ball in golf, is the choice of more players and more champions at every level of competitive golf, and provides real performance differences and preference options to meet the wide range of golfers’ needs. From tee-to-green, Titleist golf clubs are also performance driven and can be found at the top of the leaderboards and in the bags of serious golfers the world over. Players Towel always performs well so you can stay at the top of your game. Its unique weave pattern holds more than 300 times its weight in water, making it more effective at cleaning ridges and retaining moisture than any other towel on the market. The Players Towel microfiber technology picks up dirt and moisture and holds it within the cloth, resulting in a cleaner, drier surface and enhanced player performance. The Players Towel can be personalized with custom logos, signatures, colors and an optional putter slit, and most orders can be shipped within 24 hours. Beginning with golf and growing to be the go-to towel in tennis and bowling, Players Towel is the top choice of some of the world’s best athletes for superior absorption and unsurpassed cleaning. 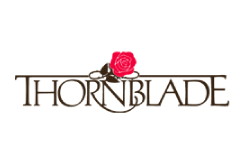 For the discriminating golfer, Thornblade Club’s master planned 18-hole golf course, designed by Tom Fazio, is the centerpiece for a magnificent residential community. The course was renovated and lengthened in the summer of 2010, with new greens, a new drainage system, laser-leveled tees, additional tees, renovated cart paths, and beautiful rock walls. Two-time Champions Tour champion Jay Haas, founding member of Thornblade Club and Director of Golf at the Club, proudly makes his home in Thornblade. Other PGA champions, including Lucas Glover and Bill Haas, play out of Thornblade Club as well.